For many years, most of Duval County’s lowest-scoring schools have been the elementary, middle and high schools in the Ribault, Raines, and Jackson high school regions. Those 36 schools struggled with high teacher turnover, falling enrollment, frustratingly poor report card grades. Their principals often struggled to fill open positions with high-quality teachers. Now, these schools are being called “transformation” schools. 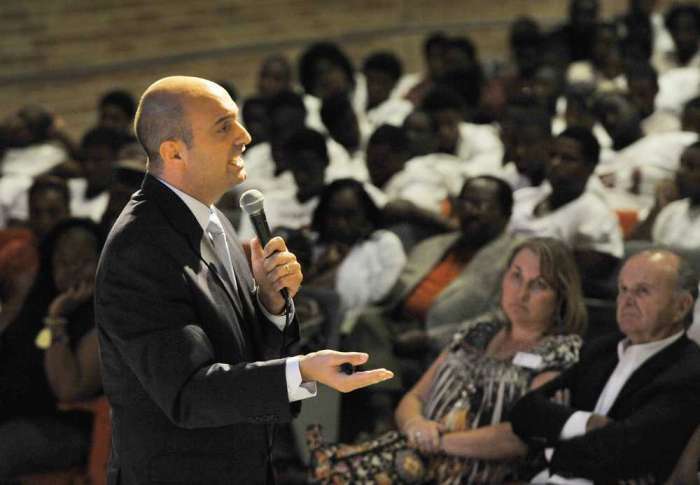 About 90 percent of the 200 open positions in those schools are filled, many by some of the district’s highest-scoring teachers, Duval Superintendent Nikolai Vitti told parents last week. He expects all the teachers in place by the first day of school, Aug. 18.